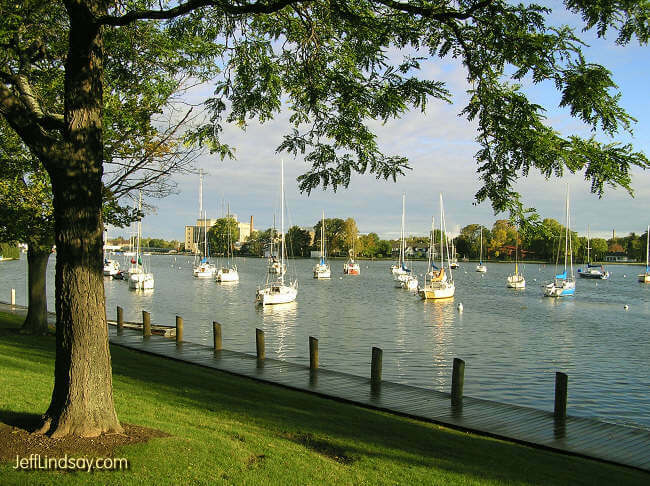 Riverside Park in Neenah, Wisconsin is a beautiful place. 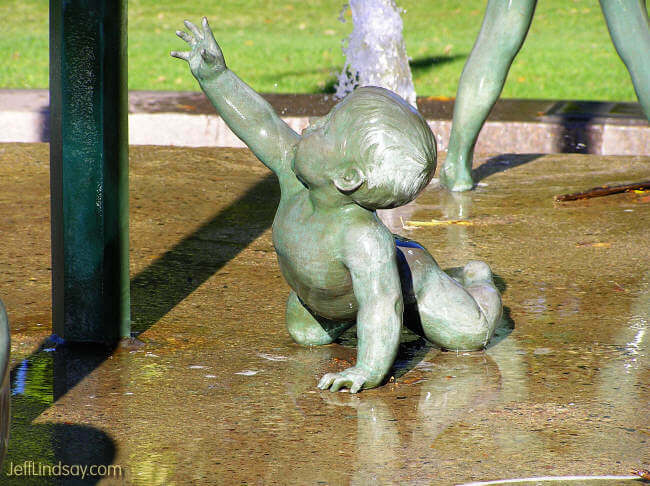 A highlight of the park is the sculpture, "Playing in the Rain" by Dallas J. Anderson, dedicated July 2, 1998. 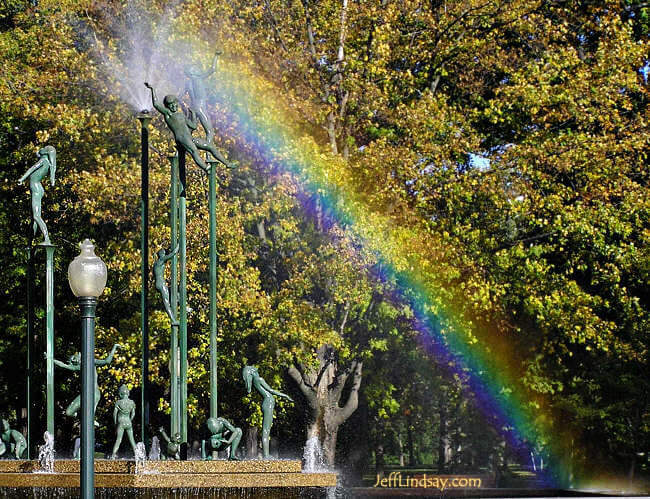 The sculpture of children playing in the rain is centered around a fountain which sometimes produces interesting rainbows and clouds of mist. 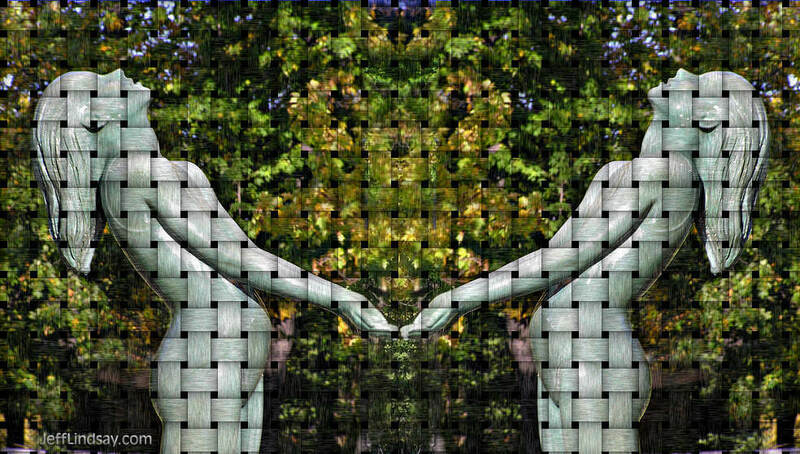 Here are some of my favorite photos of the sculpture and from other parts of the park, including a few I've modified using Serif's PhotoPlus 10 software. Also see other recent photos from 2006, 2005 and some from 2005 and 2004. Also see page 1, page 2, page 3, page 4 and page 5 of my favorite photos. Other recent additions from 2005 include photos from industrial scenes and photos of interesting people. In addition, I have a lot more photos from the Appleton area, which are linked from my Appleton, Wisconsin page (see, for example, my Appleton Christmas Parade photos). I've also got several pages of Lindsay Family Photos (the link is for 2005, and has links for each year back to 1999). A view of Riverside Park, Sept. 27, 2006. 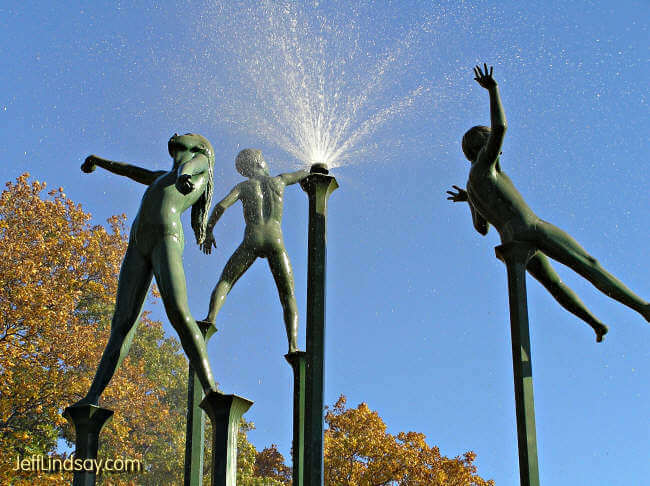 Distant view of the "Playing in the Rain" sculpture with active fountain, Sept. 27, 2006. 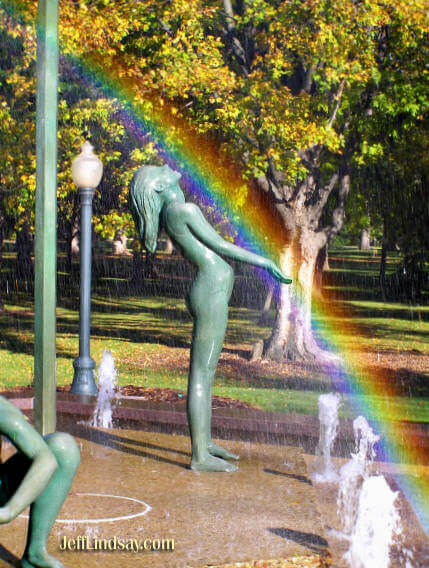 Girl in a rainbow. The color has been intensified to highlight the rainbow effect. Upper portion of the sculpture. Child playing in the rain, Riverside Park, Sept. 27, 2006. 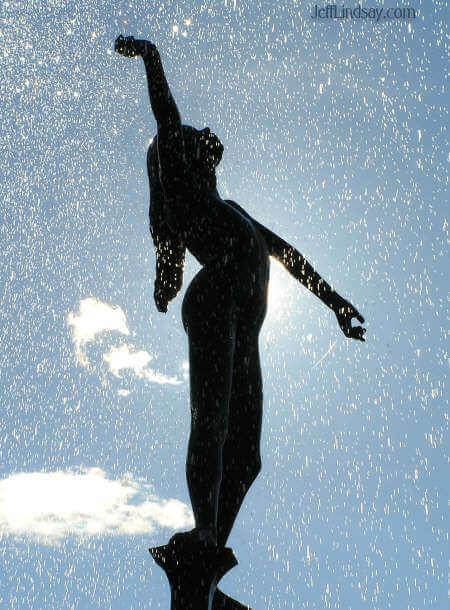 Girl standing in the spray of the fountain. 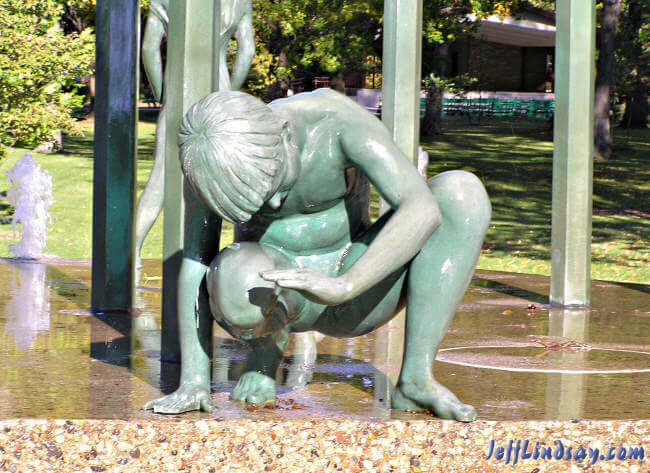 Detail of a boy in the sculpture. 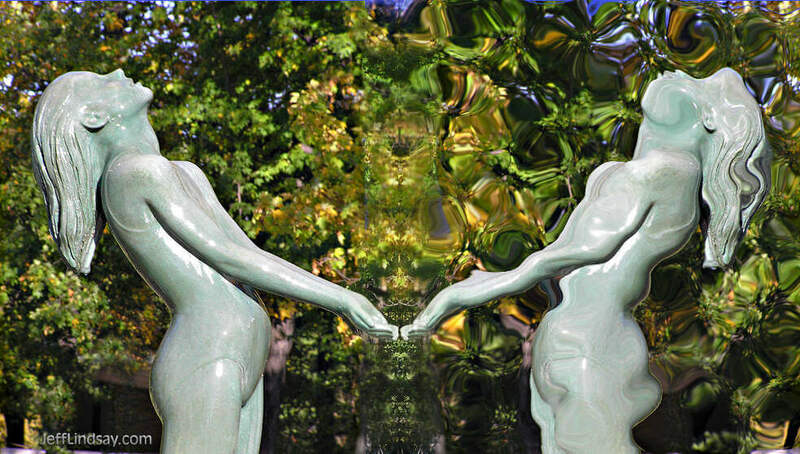 A mirror image of a girl in the sculpture, with some processing. 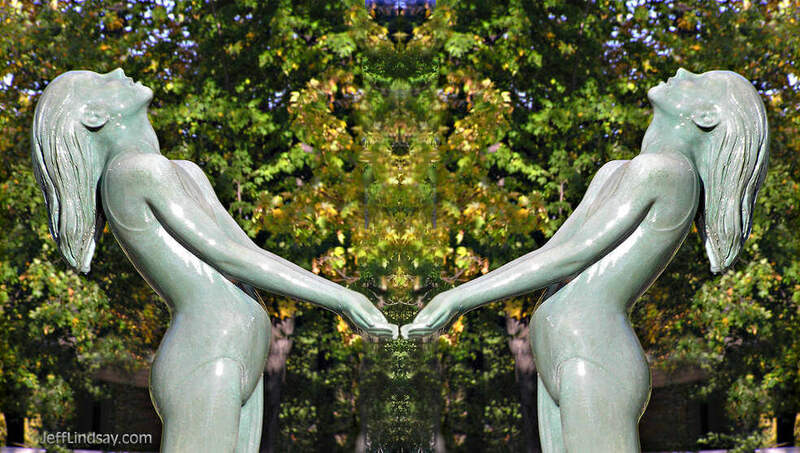 Another study of a girl in the sculpture, with the mirror image. Another version with a warping transformation. 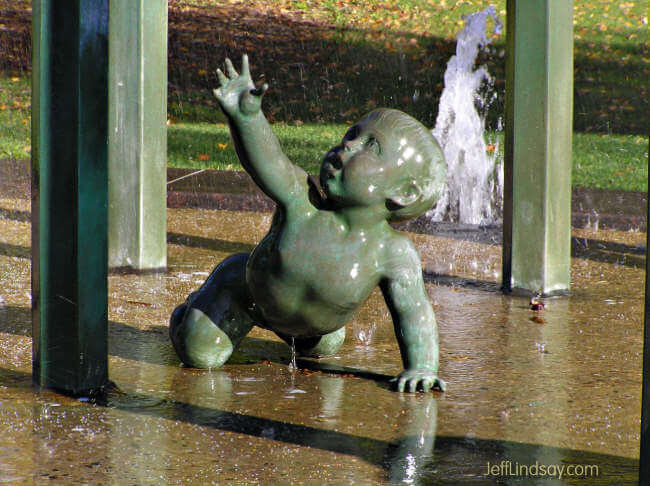 Another view of the infant. Another view of one of the girls crafted by Dallas Anderson for Playing in the Rain at Riverside Park. 2009. Colors modified. 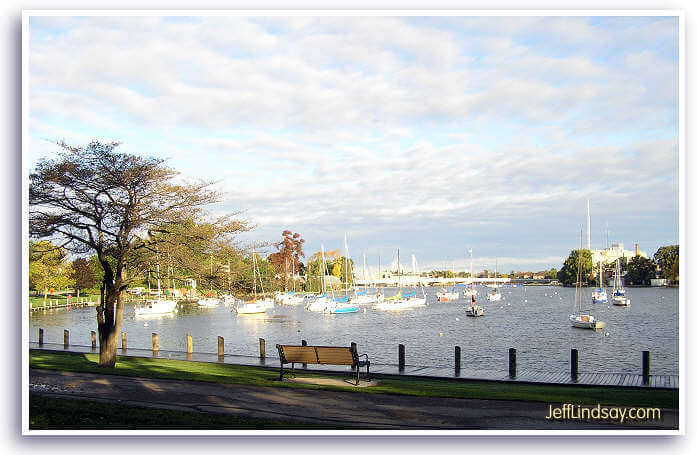 View of the marina at Riverside Park. Copyright © 2005 by Jeff Lindsay. These photos may not be posted on the Web or used for commercial purposes without written permission.